Joseph Blair is seen during a Vipers practice Wednesday, when he was announced as the new coach for the team. As a kid who grew up in Houston and played basketball “as far back as I can remember,” it was only natural that Joseph Blair adored the Houston Rockets. Blair was announced as the new coach of the Rocket’s single-affiliation G-League team, the Rio Grande Valley Vipers, on Wednesday. Blair has worked as a Vipers assistant coach since 2015. 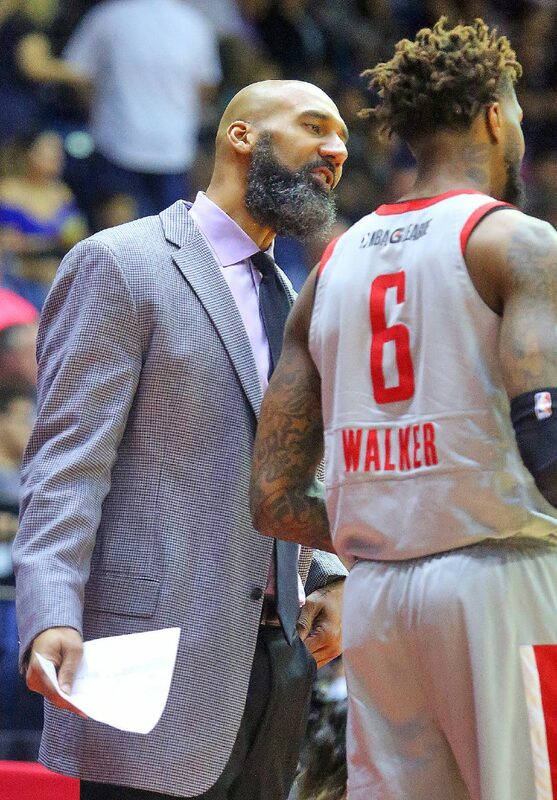 Rio Grande Valley Vipers assistant coach Joseph Blair talks with RGV Viper player Chris Walker (6) court side in a NBA G-League game against Santa Cruz Warriors at State Farm Arena on Thursday, Mar. 15, 2018, in Hidalgo. 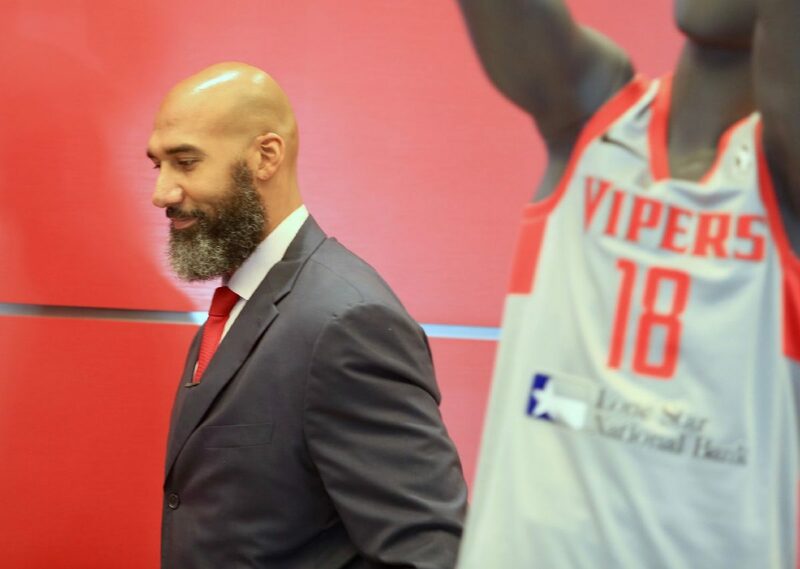 Former Rio Grande Valley Vipers coach Matt Brase became yet another Vipers coach to move onto an NBA coaching job, when the Houston Rockets brought in Brase to be an assistant coach in September. Every former Vipers coach has gone on to an NBA bench job or another head coaching gig. That trend is likely to continue with Blair. Blair attended C.E. King High School in Houston before playing four years at the University of Arizona. Blair has spent the past few training camps with the Rockets, and this year was no exception, as he has been with the Rockets since camp opened. Blair looked back fondly on his time as a ball boy with the Rockets during his junior high school career. The Seattle SuperSonics selected Blair during the second round of the 1996 NBA draft. Blair didn’t last in the NBA, so he took his career abroad, a move that would net him the EuroLeague MVP award in 2003. Blair played for seven different teams in Europe over a 13-year playing career. He then began his coaching career at his alma mater, Arizona, where he served as an assistant from 2013 to 2015. At Arizona, Blair worked with NBA players like Stanley Johnson (Detroit Pistons), Rondae Hollis-Jefferson (Brooklyn Nets) and T.J. McConnell (Philadelphia 76ers). Training camp with the Rockets has been a dream come true for Blair, but it hasn’t been easy. The buildup to the beginning of the G-League season is very chaotic, as teams try to find as much value as possible. Blair has been around some of the greatest basketball minds in the game. Now is his chance to combine all of his knowledge and experience and put it into effect on the court.